Choosing the right attorney is an important decision. Your attorney is the person who stands behind you and is there for support as you navigate the best and the hardest times in your life. The Law Offices of Matthew S Feinman combines over a decade of experience in law, business management, entrepreneurship, and entertainment. Whether you need debt relief or financial advice, want to start a small business, want to ensure your family's future security and mental well-being, or work in entertainment and need a contract, permit, or clearance completed, we are here to help. 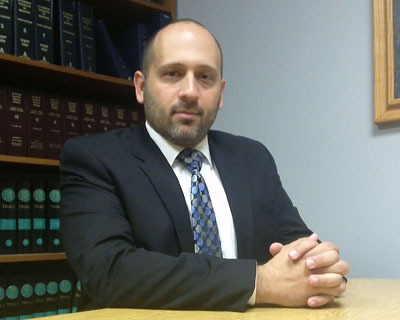 Contact the Law Offices of Matthew S Feinman and we will help put you on the path to success. Based in Pittsburgh, the Law Offices of Matthew S Feinman also serves the surrounding areas of Allegheny, Beaver, Butler, Washington, and Westmoreland Counties. We also offer video consultations via Skype, FaceTime, and Google Video. Matthew Feinman has worked for small companies and large corporations at all levels of industry. He began his career in the entertainment industry, working his way up from Production Assistant to Director of Photography and Producer. After earning his BA in Entertainment Business and an MS in Business Administration, he opened his own video production company in Orlando, FL. In 2015, he earned his Juris Doctor the University of Pittsburgh School of Law. While he has spent some time working for large firms in litigation support roles, the majority of his law experience has been working with individual clients seeking debt relief assistance or those who need estate planning help, mostly drafting wills and powers of attorney. Feinman, his wife, and their children enjoy exploring Pittsburgh, learning at the Carnegie Science Center, and finding fun places to try new cuisine. He serves on the Parent Association of Community Day School and as a Board Member of the Hebrew Free Loan Association of Pittsburgh, and also teaches high school aged kids at Beth El Congregation of the South Hills.